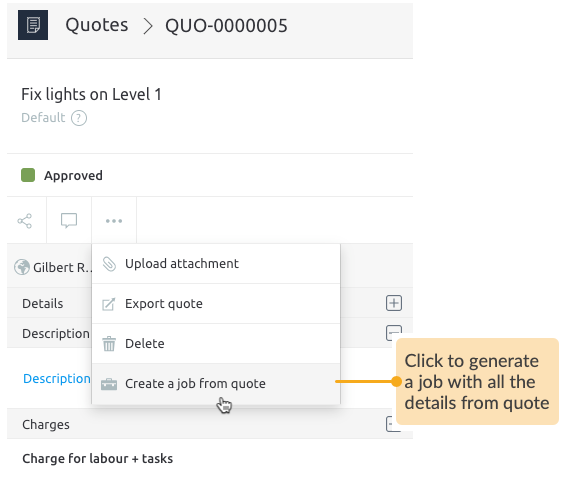 Quotes in Loc8 can speed up your interactions with customers, reducing the time to finalise a job, right from taking down the work requests up to finalising the tasks in the job. 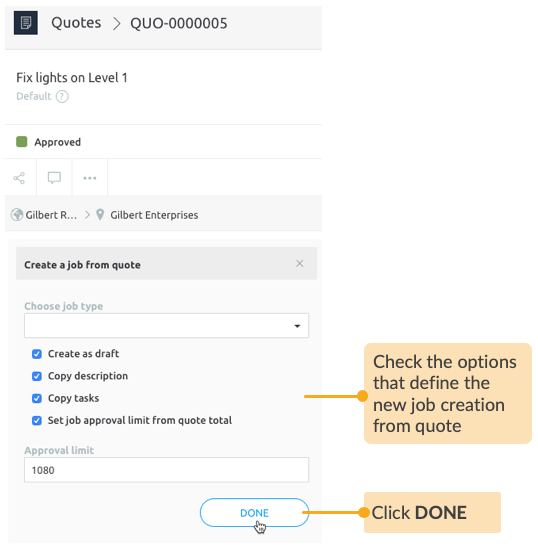 You can create a quote as you speak to the customer and convert it into a job simply by initiating the quote approval workflow, automatically copying over tasks, description, and setting the quoted value as the job approval limit. 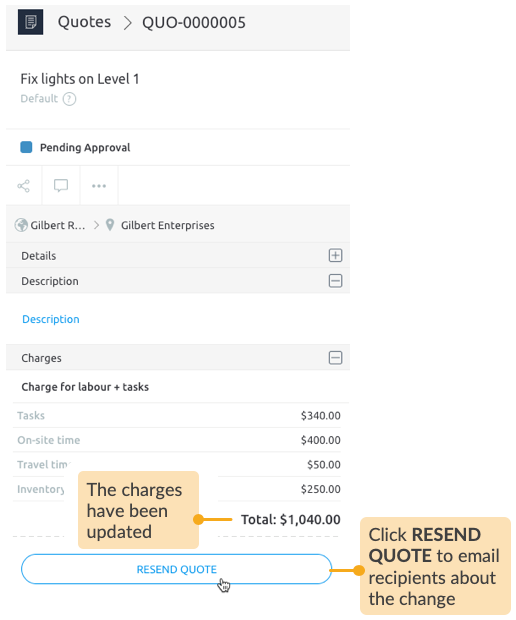 Send the quote to customer as well as other recipients, refine the quote even after it has been sent, assured that the new changes will be instantly visible to the customer and once approved find a new job that's easy to dispatch, with the tasks and charges already in place as per the agreed quote. STEP 1 Go to the Quotes workspace. STEP 2 Open the Quote creation wizard. STEP 3 Just enter the two basic details to begin with: a subject for the quote and the customer name. 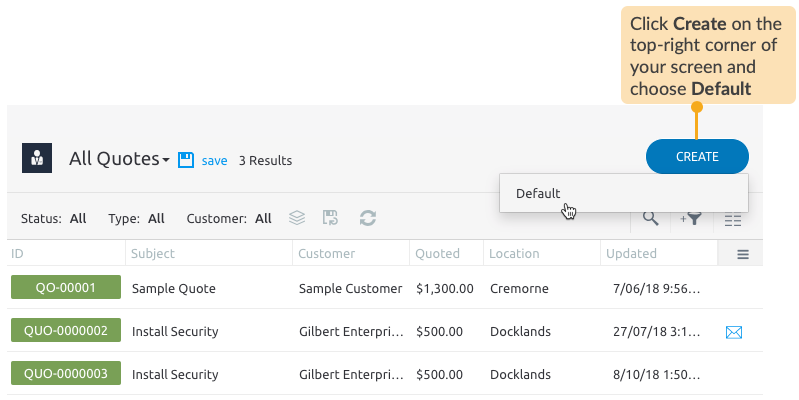 You may already have the customer added in Loc8, so select them from the dropdown list. 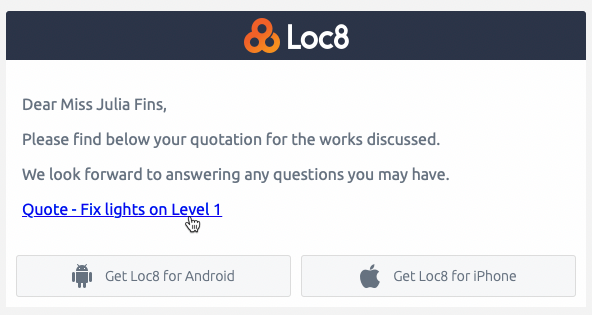 If you're preparing this quote for a new customer, you can add them to Loc8 right from here. 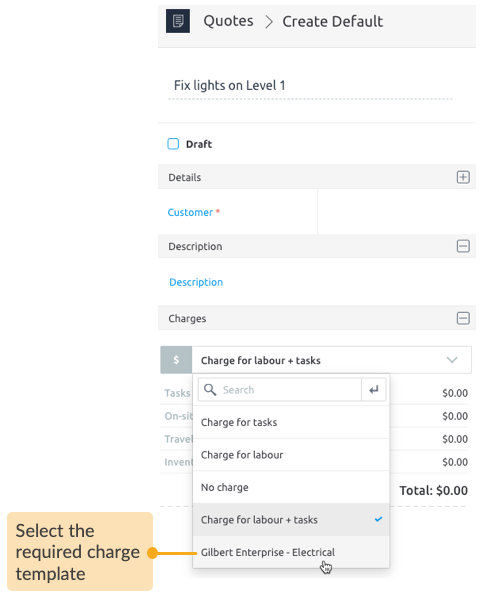 STEP 4 By default, a new quote applies charges for both labour and tasks as per the Charge for labour + tasks template. 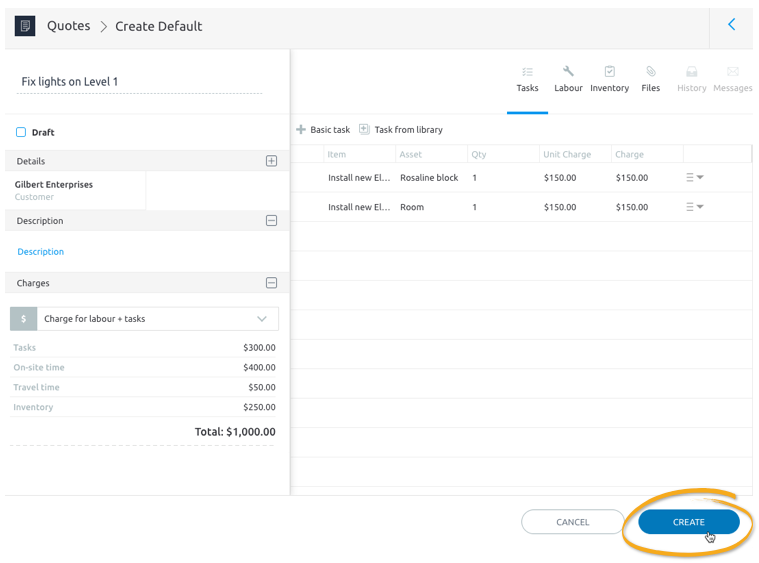 However, you are free to select your own charge template as suited to the customer, industry, area etc., from the list of charge templates you may have already created under Settings -> Charge Templates. To create new charge templates, read Create Custom Charge Templates. 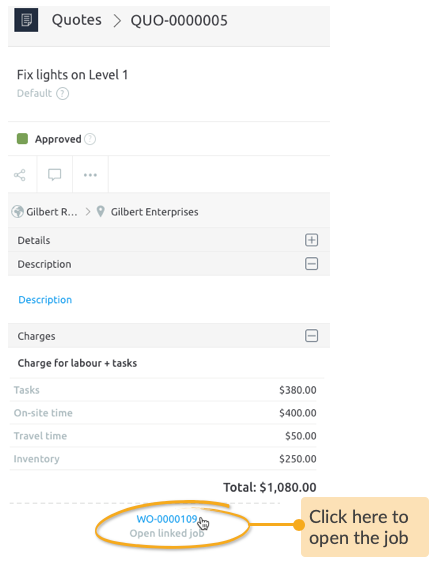 STEP 5 Specify the estimated tasks, approximate labour hours for both travel and on-site work and inventory involved, and see the total amount payable under Charges. 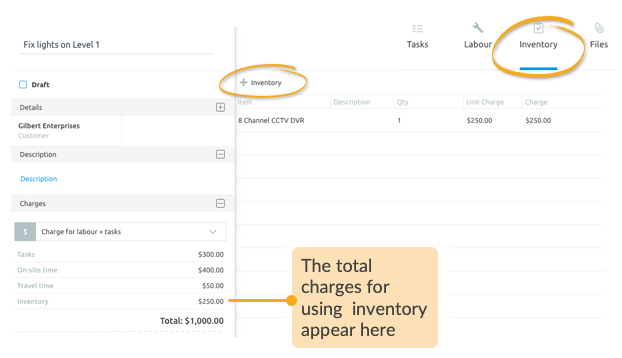 The charges for each line item appear on the basis of the rates specified in the Task Templates, Default Rates and Inventory Library, and if required you can overwrite them to tailor this particular quote. 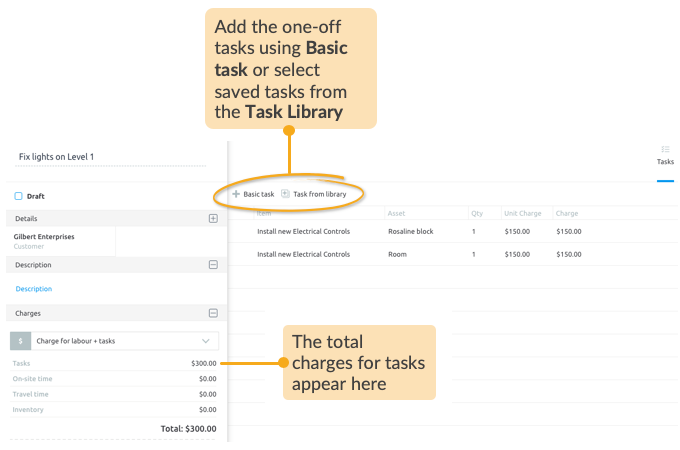 To add new tasks in the task template or define new rates for the tasks, please read Create Task Template. 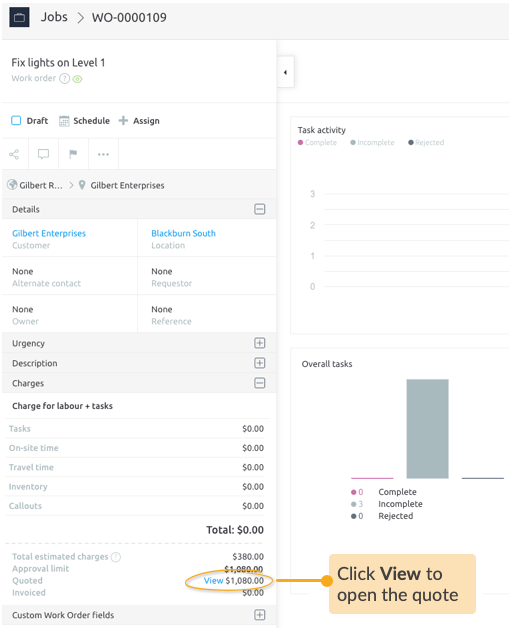 Next, add the estimated labour hours under Travel time and On-site time. You can overwrite the charges as required. 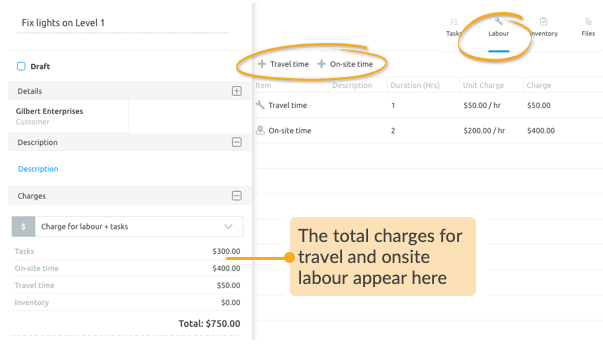 To update the default rates of travel and on-site hours of your workforce, please read Define Costs and Charges. Lastly, add the parts/materials/items estimated to be used in the requested works. STEP 6 The quote is ready with all the line items and their charges. Now, create the quote and send it to the customer for approval. the email address of the customer and other recipients is valid and active, this is important as the customer will receive the quote on a live web link to that email address. 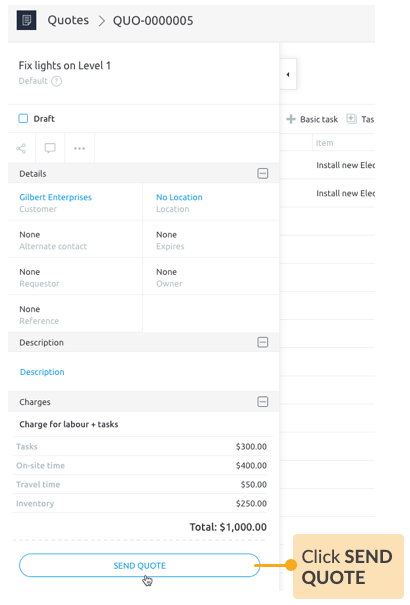 STEP 1 Expand the Charges section in the Quote inspector. 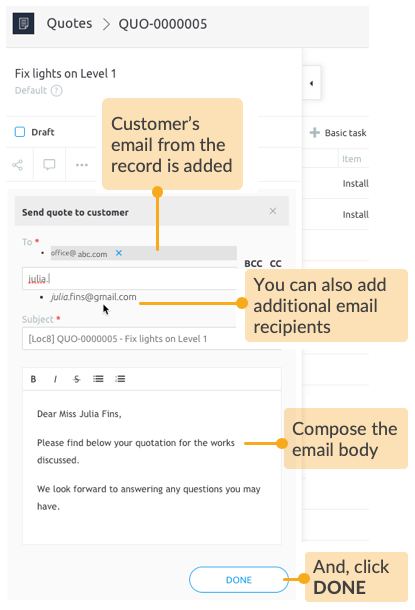 STEP 2 Compose the email and choose whom to select the quote to. The quote has been sent. On sending the quote, the status of the quote changes from Draft to Pending Approval. The customer receives an email from your company name, mentioning the Quote ID and the Subject. The customer and other recipients are able to access the quote by the link in the email. The customer reviews and Approves or Declines the quote while on the web link. You will read more about how to approve the quote further down in this article. Once a quote is sent, the entries in the quote is locked from being changed any further. 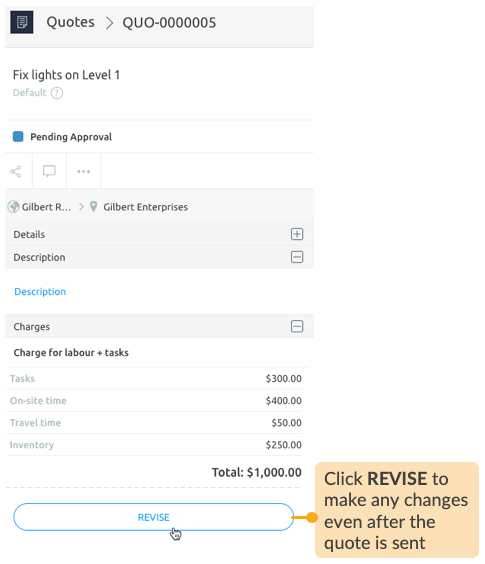 But, you may still edit the quote by clicking REVISE. 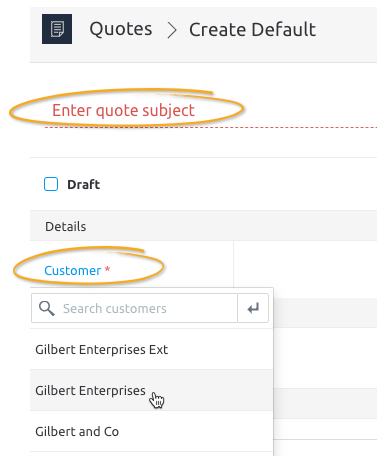 You can revise the quote to make minor refinements even after the quote is sent, and the updated quote is instantly available to the customer on the live web link you have previously shared. If at all the quote was significantly revised, say as an amendment to a quote declined by the customer, you can resend the updated quote to the customer. If the customer clicks Approve on the web view, the quote status changes to Approved in real time. Likewise, if they Decline the quote, the quote status changes to Not Approved, following which, you can make the necessary changes to the quote and resend it again for approval. 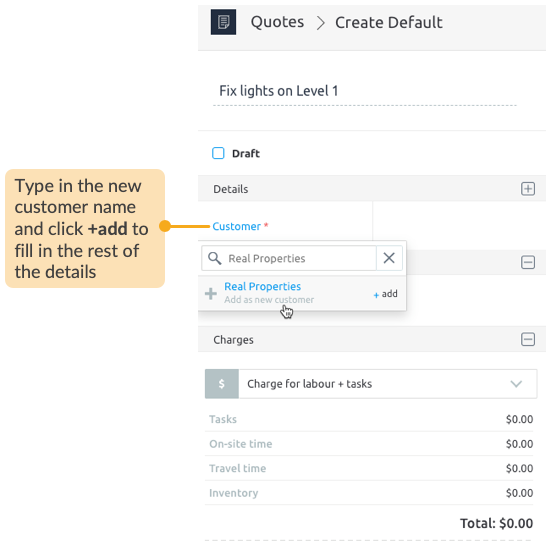 Once the quote is approved, you may create a job from the quote, optionally copying over tasks, description, and the quote value as the job approval limit. 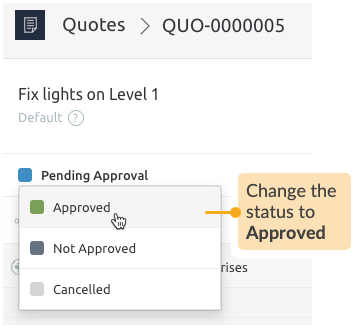 If you are approving the quote yourself on Loc8, change the quote status from Pending Approval to Approved status on the quote inspector. 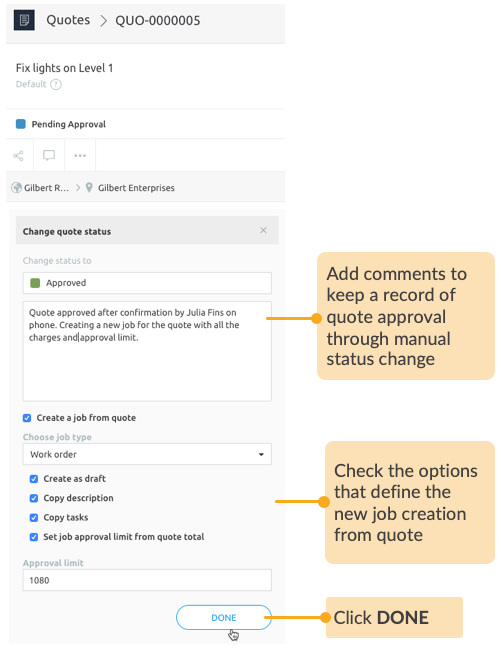 In the following screen, you can add a comment on changing the status and enable job creation from the quote, optionally copying over tasks, description, and the quote value as the job approval limit. 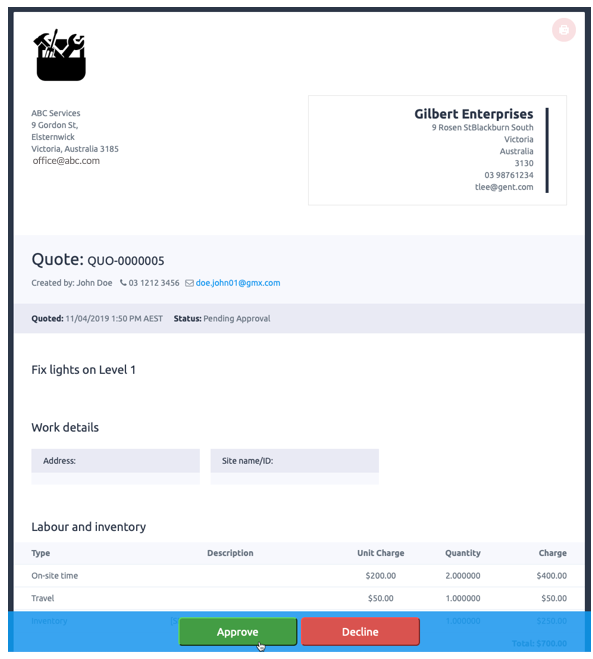 The new job created from the approved quote is available in the Jobs workspace, ready to schedule and assign. And it gets really easy viewing the quote and the job back and forth using the cross-referencing available on the both the quote and job inspector.